Make Exercising Fun - Host a Fitness Party! How can you make exercising fun for adults who are new to fitness, or trying to get back into exercising? How about a fitness party! You know, every since Zumba popped up on the scene a few years ago, fitness parties have become all the rave again. It's a great way to get fit for a certain event, while bonding with a few of your friends. And, it does not take a lot to get started. Planning is always important when planning any party. It can be overwhelming if everything is put off to the last minute. That's why you want to give yourself at least 2 to 3 weeks before the big day to do the following. Choose the type of workout you will do. friends to chip in on. What is the min/max number of guests who can attend the party? Where will the fitness party be held? Do they come to your house, or will it be setup in studio setting. If they require a deposit, how much? One good thing about fitness parties is you don't have to worry about decorations because the type of fitness you decide do is the center of the party theme. Also, remind your guest to eat at least one hour before the party. After all, they will be exercising so they will need some energy to get through the workout routines. When you choose a theme create one that is centered around a particular area of fitness. In addition, you can create games and contests for your party. For example, if you decide to host a hoop dance party, then create a contest where who ever can keep the hula hoop up the longest. Or, who can perform a particular hoop dance move - like the "booty bump." Whoever wins gets a prize. 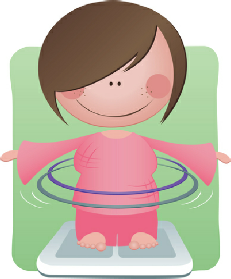 Other party games can include video games like Dance Dance Revolution and Wii Fit Hula Hoop game. This can be either one or two player game. a pattern, it becomes a problem. Fruit trays with various melons and fruits - my favorite :-). no one can stay on them forever. Tosca Reno. It's not a diet book, but a really good resource on how to eat clean. She has fabulous recipes and tips on shopping clean at the grocery store. Everyone loves free stuff, don't you? So why not pickup some inexpensive party favors that your guest can take home just for attending your party. Hosting a fitness party is the perfect motivator for exercising and burning off those calories. Once you have gotten your friends involved, you can host a party once a month with a different theme for fitness and food choices. Just make sure you have fun! !